The General Bathymetric Chart of the Oceans (GEBCO) Gazetteer of Undersea Feature Names is now available to view and download via a web map application. This public interface to the Gazetteer provides the ability to search for, view and download information. The data are available in a number of formats including spreadsheet, shapefile, KML, WMS and ArcGIS layer and can be accessed as a REST-style API. 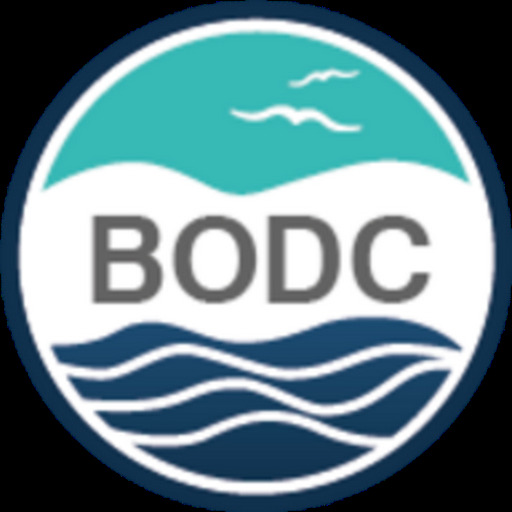 It is hosted by the International Hydrographic Organization Data Centre for Digital Bathymetry (IHO DCDB), co-located with the US National Geophysical Data Center (NGDC). The GEBCO Sub-Committee on Undersea Feature Names (SCUFN) maintains and distributes the Gazetteer, which provides information on over 3,600 seafloor features. Examples include: the Mid-Atlantic Ridge and the Challenger Deep, the deepest point in the oceans, located in the Mariana Trench in the Northwest Pacific Ocean. SCUFN was formed to meet the need for a uniform policy for the standardisation of undersea feature names and to facilitate the consistent naming on bathymetric maps and nautical charts. Therefore SCUFN also provides detailed naming guidelines and standard nomenclature used to define undersea features (e.g. canyon, plateau, fracture zone) and considers new undersea feature name proposals at yearly meetings. Other GEBCO products include global gridded bathymetric data sets that are maintained and made available, on behalf of GEBCO, by the British Oceanographic Data Centre (BODC). 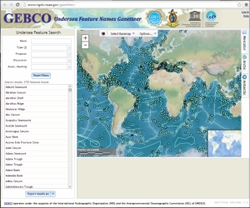 These data sets, including grids, bathymetric contour, trackline control and coastline data sets are included as part of the GEBCO Digital Atlas, which is distributed by BODC on DVD. Find out more about GEBCO work at BODC.